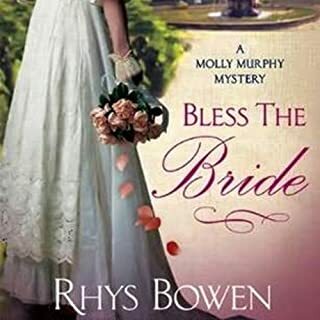 I have loved all the books in the Molly Murphy series by Rhys Bowen and enjoyed them all. This one did not disappoint either. 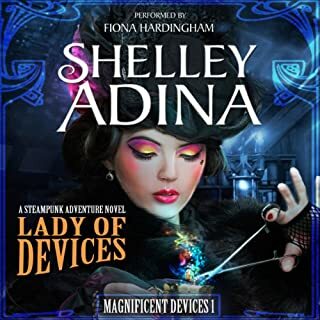 She writes in the style I enjoy with interesting and exciting things happening in every chapter, a nice mystery with just enough description and dialogue. I will be sad if this series ever ends. 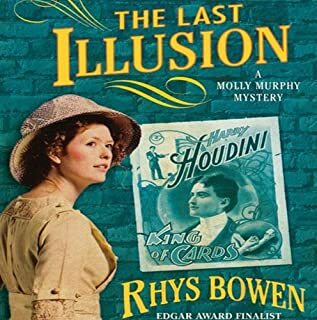 I like her other books (love the Constable Evans books set in Wales) but am especially fond of Molly. So, if you read this, Ms. Bowen, I am hoping you will keep writing these. Now, on to the next! I almost forgot to mention the reading/performance by Nicola Barber. I want to call it a performance because she doesn’t just read the words but performs each character. I love all the different accents she needs to speak in each book, and she does it so well! Bravo! 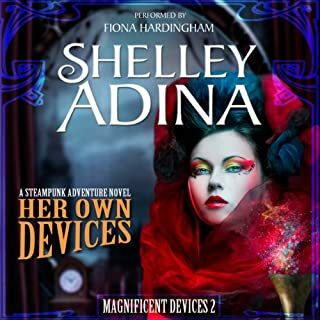 I enjoyed the first book in this series so much that I was worried the second installment wouldn't be as good (I have been disappointed by other authors, unfortunately) but if anything, this one was even better. No, I won't say that since it was pretty much a continuation of the first book. This was one of those books that remind me of a good movie. When you leave the theater you are exhilarated. I also enjoyed the reader's performance very much. I know this was probably written for a young readership, and though I am an older adult, I found it great fun! A Fun Story - Very Imaginative and Well Written! I only heard about Steampunk very recently as a design that I always liked. Things cobbled together using bits and bobs and gears and pulleys. I had no idea there was a whole following to it with people dressing up, much less stories. I did enjoy H.G. Wells stories and the era they took place, but didn't realize there was a name for it besides Science Fiction. Intrigued, I set out to find other stories and movies. Sorry to say, much I found was very poorly written (the movie I started watching was simply awful!). Then I searched on Audiobooks and found this series. It is fabulous fun! I am currently listening to the next volume and am really enjoying it as well. The narration is very nicely done. American listeners might have trouble with some of the accents, but I love British television and have become accustomed to most of them. I am very happy there are so many books in the series. If they all are of the same caliber of work, I will remain happy for a good long time. With Molly Murphy’s wedding to NYPD Captain Daniel Sullivan quickly approaching, the Irish P.I. heads to the Westchester County countryside,where Daniel’s mother can counsel her on a bride’s proper place. Surprisingly, Molly seems to be agreeing with her future mother-in-law’s advice. Molly promises to leave her detective work behind and settle down after becoming Daniel’s wife…but she isn’t married yet. So when she gets word of a possible case, Molly sneaks back into the city to squeeze in a little more sleuthing before the wedding bells can ring. I don't know which I like better, the book itself or the reading. Rhys Bowen's writing is wonderful. I have read all the Constable Evan Evans books and loved each one, and am now enjoying my way through the Molly Murphy books. I have to read other authors books between them or I would devour them so fast that they would be all read before I know it. Ms. Bowen's books are fast paced and full of interesting characters. I also really enjoy Nicola Barber's reading. In the Molly Murphy books there are all kinds of accents that she has perfected. In this one there are Chinese, Irish, New Yorker, English.... etc. Fantastic! Where does The Last Illusion rank among all the audiobooks you’ve listened to so far? One of the best. I have listened to the whole series up to this point and intend to listen to the rest. I will be so bummed when I listen to the last one because they are so entertaining. It has just the right mix of characters and action to keep me interested. Molly is a feisty, intelligent detective. 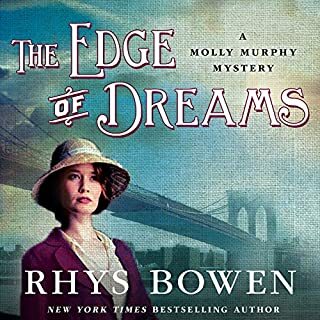 There is also just enough romance to be interesting, but not to be considered a romance novel..
Rhys Bowen's Molly Murphy books are all very good and keep me riveted to find out what is going to happen next. Molly gets herself into some very interesting situations. My favorite is the heroin of the story, Molly Murphy. I would have liked to hear it all in one sitting, but the story is too long for that. I am happy to listen a few chapters at a time. Nicola Barber is a great reader/performer. She does so well with all the different accents (there are quite a few in the Molly Murphy series). She also does very well with the male voices. I have heard some readers sound kind of silly doing male voices.